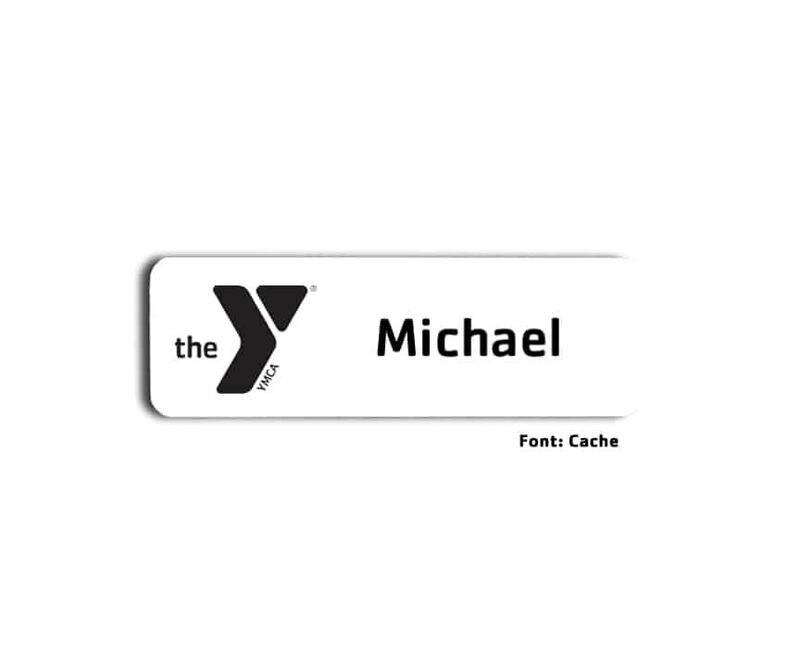 YMCA of the Greater Twin Cities name badges with the newest logo design by Name-badges.com Inc. since 1993. Order here. Several backing options to select from, including magnetic, alligator clip, military clutch and standard pin.